Urban bike messengers tend to weave in and out of traffic like two-wheeled worker bees, anonymously focusing on delivering documents and packages around the city as quickly as possible. For most motorists, they’re a blur of spokes and chain-stained leg muscles. Filmmaker Kenton Hoppas wants to change that. 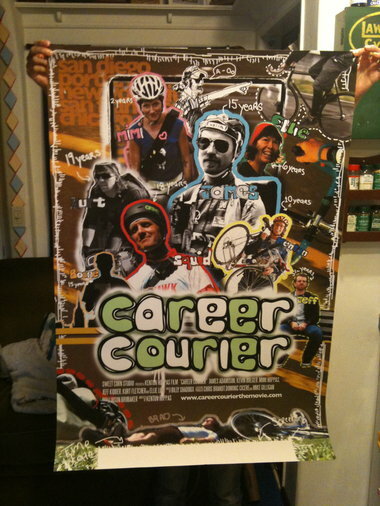 Hoppas, a formerSan Diegobike courier, has wrapped up production of “Career Courier,” an 86-minute documentary on the careers — careers? — of bicycle couriers.